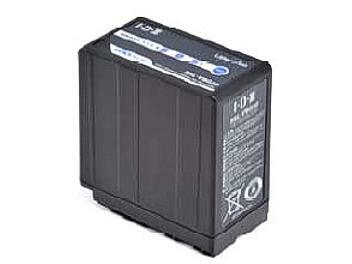 I,ve bought this battery for my AF100 Camcorder. Good battery with light Indicator show the remaining power for battery. the life is about 2 to 2:30 hours per full charge & the original Panasonic battery life is more than 3 to 4 hours. Works great on the AF102, only negative is that you don't see remaining battery as minutes, only the bars within the battery icon. Lasts longer than the standard Panny battery and is cheaper.